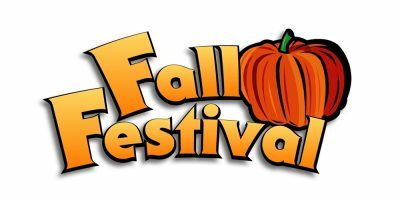 Our Fall Festival committee will meet Monday, September 10th at 6:30 p.m. at the Parish Center. We welcome new members to join the group, bring along your new thoughts and ideas. Needed this year are folks to head up individual events. The Festival can’t be a success without volunteers, come be the success behind our Fall Festival 2018! Fall Festival signs: Look in your closets, out in your garages, down your basements; we are missing many of the new lawn signs that were printed last year. We want to reuse them this year, so please bring them with you to Mass or to the Parish Center during regular business hours. We need to advertise to get people to come join us at this year’s Fall Festival!! Hoopfest (the basketball competition) has been canceled. We couldn’t find anyone to run it in the school gym. Maybe next year! NEW ITEMS are needed for the Silent Auction. Things for Teens, Moms, Dads, Babies, Sporting Goods, Tickets to Sporting Events and Concerts Small Appliances. Restaurant Gift Cards, Sports Jersey, Electronic Notepads, Cell Phone, Tools, Cookware. Gas Gift Gard, Car Wash Gift Card. Shop at St. Matthew’s Scrip Table! Gift Cards are needed for the Paddle Wheel Game, please donate. Thank you. Donations are tax deductible, save your receipt. For all of you sport fans in the parish, the Minnesota Lynx are donating to the Fall Festival an 8×10 autograph photo of Danielle Robinson. Panera Bread is giving us a generous donation of a certificate good for one pick two meal a month for a year! Pineda Taco on Robert Street has donated a certificate for they Big Meal which includes choice of meat, beans, rice, tortilla and beverage. The meal serves 4. Mike’s Butcher shop is giving a box of select meats. These donation are in addition to all the great baskets, bikes and single items that have come in. Please support the businesses that support the festival. Sunday: Chicken Dinner in the Social Hall. The kitchen will be serving our famous tacos, burgers, brats, and hot dogs from the grill. Silent Auction – New items, gift certificates, collectibles. Include price. See detailed basket info below. Jewelry – Necklaces, bracelets, earrings, clips, hats, purses, scarves. Pie Booth – Any type of pie, ice cream (gallon size) needed the week of festival in case we need to buy additional. BRING YOUR CHILDREN AND GRANDCHILDREN. ENJOY GAMES AND ACTIVITIES FOR KIDS OF ALL AGES! FALL FESTIVAL SILENT AUCTION TEAM NEEDS YOUR HELP TO BUILD A BETTER BASKET! We need new items with the price tags on please. We need to know the value when making the bid slips. Items for men are especially needed. Items for babies, bridal shower items, Minnesota items, gift wrapping items, pet items, grilling items, sports items, wine, baking, holiday, home décor items. Items for teens. Small appliances such as pizza ovens, toasters, mixers, blenders, waffle irons, hair irons and blow dryers. Games and toys for children, please remember the boys!! Tickets to the Minnesota Vikings, Minnesota Twins, and Minnesota Wild are always well received. Power tools, tool kits. Gift cards are great too. Theater tickets (the Ordway, the Guthrie, etc.) would also be another welcome additions. When dining out at your favorite restaurant, inquire with the manager if they would consider donating a gift card to the Fall Festival. We will send a “thank you” letter to them. 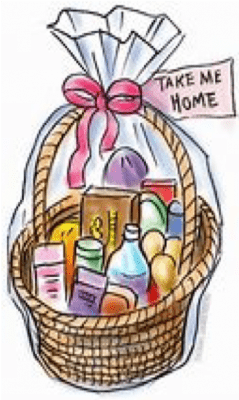 Bring your donations to the Parish Office Monday – Thursday 9:00 am – 4:00 pm, Friday 9:00 am to 12:00 pm or you can leave them by the St. Matthew Icon when you come to weekend Mass. Thank you for your donations. 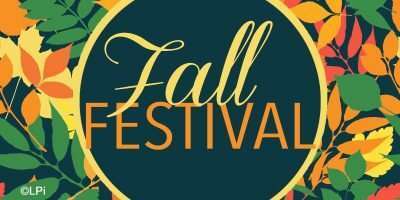 Keep checking this website for updated information about the Fall Festival and silent auction. Volunteers are needed to help set-up and take down various booths. Also, workers needed in booths for 2 hr shifts where needed. Karen Thompson, Linda Rivera & Mary Leibl who have volunteered to chair the Fall Festival.